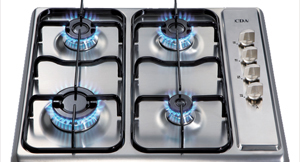 Our engineers are Gas Safe registered, they are fully qualified to safety install your gas cooker. You can arrange a visit from our specialists any day of the week including weekends. Our engineers are specially trained to the highest safety standards. We’ll conduct a safety check on your newly installed cooked and ensure it is in full working order. Provide you will a Gas Safety Certificate. Step 1: We’ll evaluate the immediate kitchen area and ensure that the current gas connections are safe and meet legal requirements. Step 2: Disconnect the existing cooker and evaluate the new one. Step 3: Connect the new appliance. Step 4: Conduct all the necessary safety testing. Step 5: Provide you with all the necessary certification.